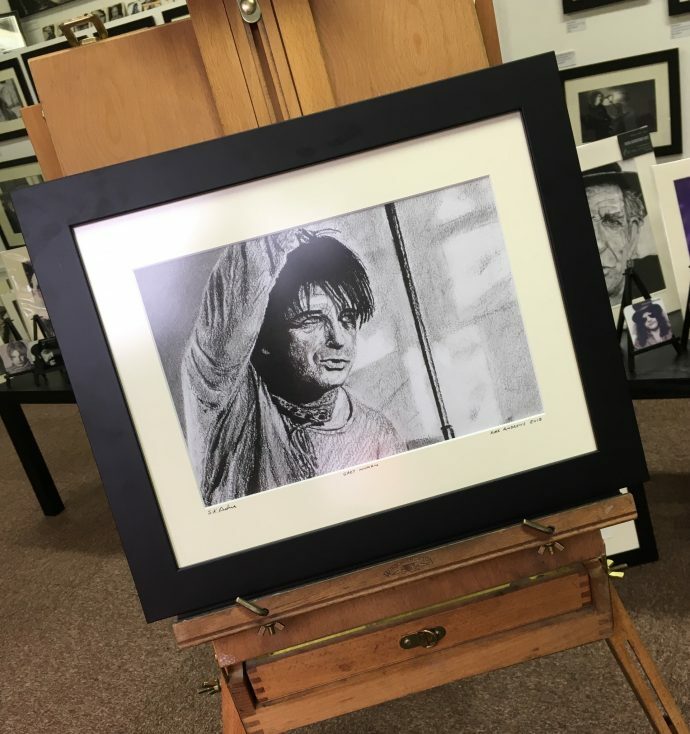 My original charcoal on paper portrait of Gary Numan is now available to purchase in a 14” x 11” frame with anti-reflective glass. From the 2017 Savage Tour at O2 Institute Birmingham. Based on and inspired by an awesome photo by Steven Cook @cooks.eye.view £295 plus postage and packaging…..